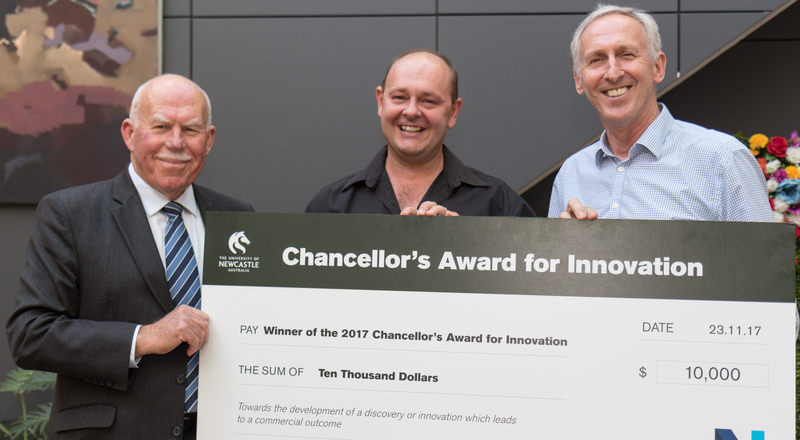 The 2017 University of Newcastle Chancellor’s Award for Innovation was presented to Dr Brett Turner from the School of Engineering’s Centre for Geotechnical Science and Engineering. Dr Turner’s research has shown that plant proteins, in particular the proteins from hemp plants, are an effective, natural method for PFAS remediation. Widely used at airports since the early 1970’s, aqueous film-forming foams (AFFFs) containing PFASs were highly effective at fighting jet fuel fires. The extent of soil and groundwater affected by these contaminants is immense given that there are over 575 firefighting training facilities at military installations, and approximately 41,820 civilian airports around the world. In addition, these chemicals are found in everyday products such as fast food containers, fabrics, lounges, carpets, waxes, and polishes ,consequently, these contaminants can be found in the blood of most of the general population with research showing that an estimated 98% of Americans affected by these contaminants. PFAS’s have been shown to cause liver, testicular, and pancreatic tumors in rats and may affect humans. Due the large number of communities and families impacted by PFAS contamination such as those living in the “red zone” at Williamtown, NSW, and the ongoing threat to their health, the remediation of these sites are of paramount importance. PFAS contaminants however, are considered almost non-degradable in nature, highly mobile and therefore extremely difficult and expensive to remediate. Dr Turner’s research will therefore provide an alternative process for the removal of PFAS chemicals from groundwater and that once exhausted, the plant material can be thermally destroyed at relatively low temperatures, something that is lacking in current technologies.